Thanks to Venice/Nokomis, Fla., Lodge No. 1854, local families in need are well fed. 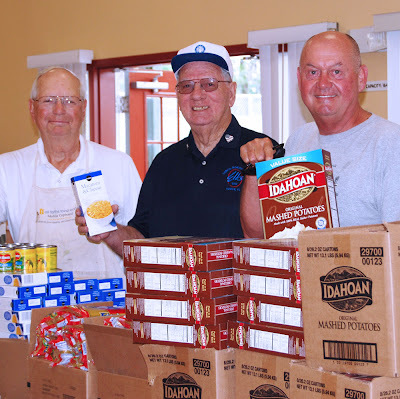 The Lodge partnered with All Faiths Food Bank Mobile Cupboard program and used its Elks National Foundation Gratitude Grant to donate food and volunteer time for three months this year. More than 100 families received food twice a month from Elks volunteers like Wayne East, Merle Tarr and Sven Nelson, pictured above.